Sewing your hat allows you to make a hat to match every outfit and accessorize your hat for any occasion. Keeping your skin protected is one of the best ways to prevent sun damage and possible skin cancers. A hat with a brim all the way around can protect your ears and neck as well as your face. Protect the little ones by sewing up these free patterns for a Fluted Sun Hat or a Ruffled Bonnet. Add decorations and trim to have the hat be a favorite or match an outfit. Wild Ginger Software offers a free download of Wild Things!. This free software is a fully functional program for drafting patterns for hats, bags, wraps, and footwear. The possibilities are endless for your Easter bonnet and more! Simplicity, McCalls, Butterick, and So Vintage Patterns are all pattern catalogs that offer hat patterns in conjunction with other patterns. 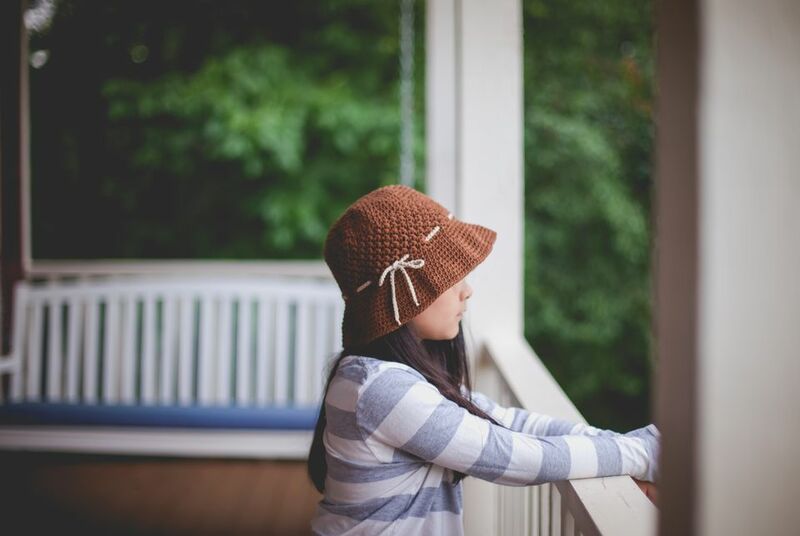 Blue Sky Hat Pattern by Amy Butler is perfect because of the wide brim, which offers excellent sun protection and lots of space for adding decoration details. No matter what hat you are making, odds are it is round. Sewing in the round you to use a seam guide and watch the guide rather than the fabric. Take your time and clip so the seams will bend the way they are intended to. Grading the seams removes large seam allowances and allows the hat to lay correctly. Press! Pressing may seem like a challenge because of the shapes involved in hats. Don't let it stop you from pressing! Use pressing tools to achieve professional results! One of the many reasons people don't wear hats is that they hold in heat. That's great in the winter, but the summer is another story. Sew eyelets in the hat and remove the middle of the eyelets.